Butterfly Blue Watering Can For Gypsy Fairy Gardens. 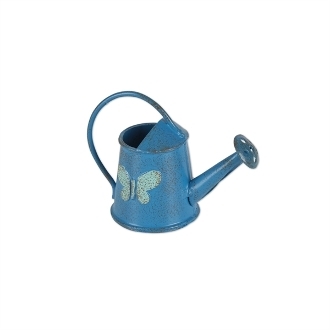 Full Description: This adorable blue watering can features a butterfly accent and is a fun accessory for any mini garden. Features all-weather paint. Made of metal.